It’s that time of year again! 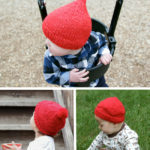 Every fall, I like to share a free pattern for red baby hats designed specifically for the American Heart Association’s annual Little Hats Big Hearts campaign. 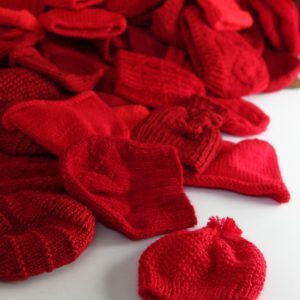 The AHA, along with tons of volunteers and partners around the country, distributes red hats to newborns born in the month of February. 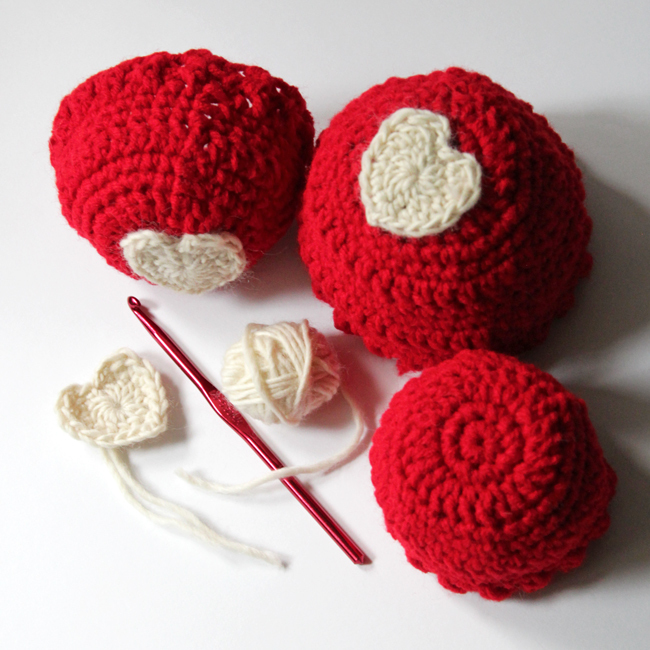 The hats come with an information packet about infant heart health to help raise awareness about congenital heart defects and ultimately save lives. February may be a few months away, but the donation window is open now so that the organizers may have time to handle the logistics of laundering and distributing hats in time for February 1. 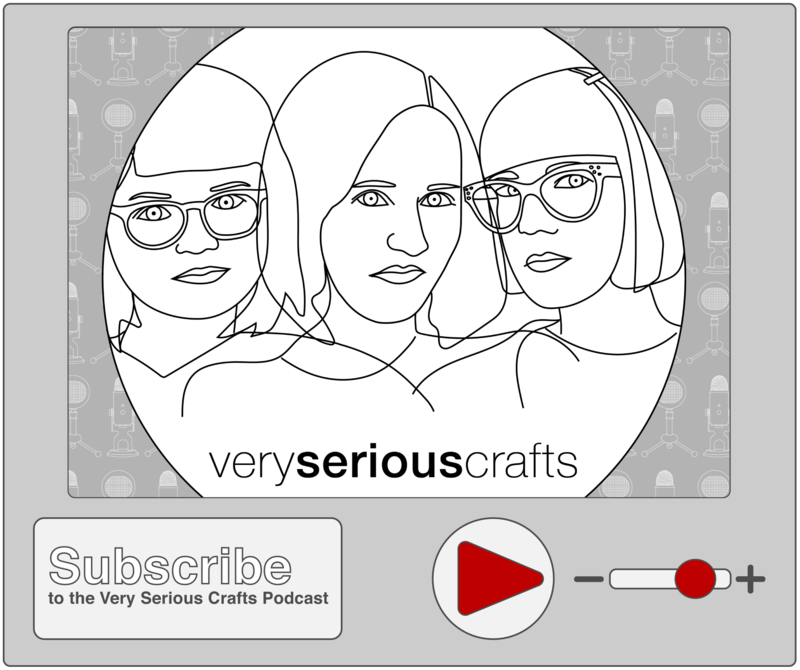 Interested in knitting for this cause instead? This cause hits close to home for me, which is why I come back to it year after year. For some context, you can read about my family’s personal connection with congenital heart defects. 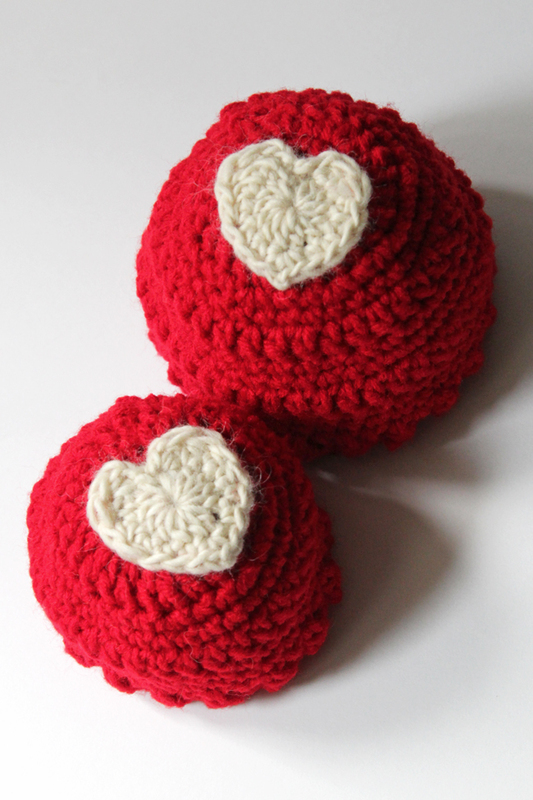 You can also read about a good friend’s experience having her son exceptionally early, and what a difference handmade items can make to parents living with babies in the NICU. 12 sc & 15 rows over 4 inches. 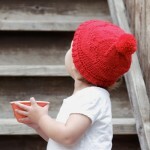 Baby hat measures 8 inches from cap edge to crown & 14 inches in circumference. 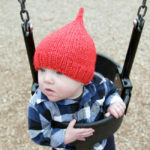 Preemie hat measures 5 inches from cap edge to crown & 12 inches in circumference. rnd 5. ch 1, sc 32, sl to join. rnd 6. ch 3, dc 32, sl to join. rnd 8. ch 1, sc 40, sl to join. rnd 9. ch 3, dc 40, sl to join. rnds 10-11. Rep row 8.
rnd 12. Rep row 9.
rnd 13. ch 3, (fpdc 1, bpdc 1) 20 times, sl to join. 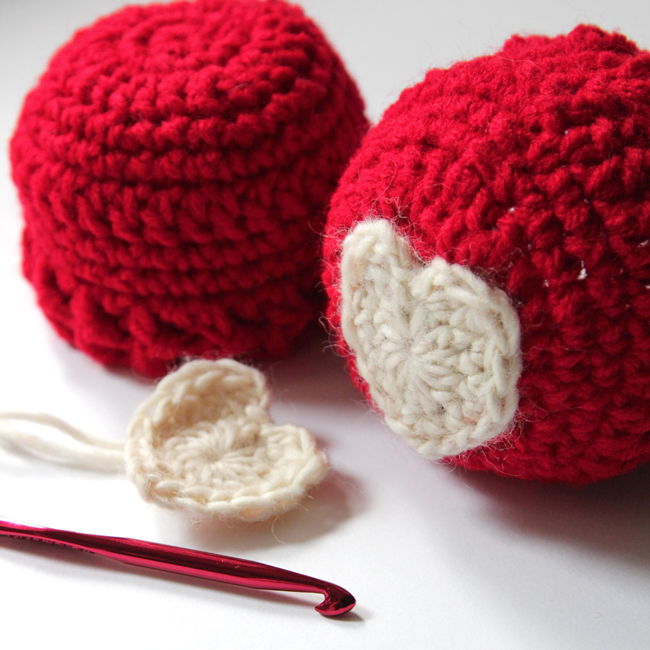 Break yarn and draw tail through to secure. Weave in ends. rnds 7-8. Rep row 5.
rnd 9. Rep row 6.
rnd 10. ch 3, (fpdc 1, bpdc 1) 16 times, sl to join. rnd 1. Create a magic ring, leaving a 6 inch tail. ch 2, hdc 13 into ring, sl to join. rnd 2. ch 2, dc 2, hdc 2, sc 2, (sc 1 -ch 2- sc 1) in next st, sc 2, hdc 2, (dc 2 -ch 1- sl 1) in next st, sl to join. Break yarn, leaving another 6 inch tail, & draw tail through to secure. Use long tails to sew appliqué to top of hat, not leaving any loose in ends. 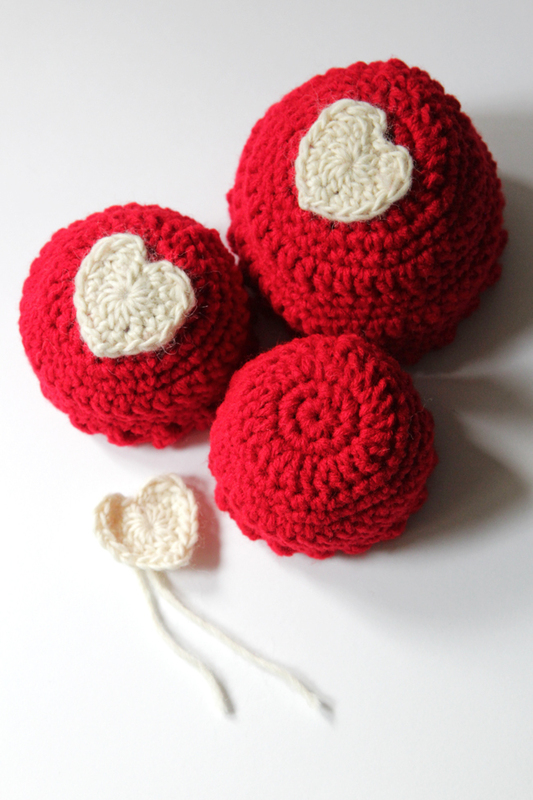 For complete information about Little Hats Big Hearts and how to donate hats to the cause, check out this page from the American Heart Association. 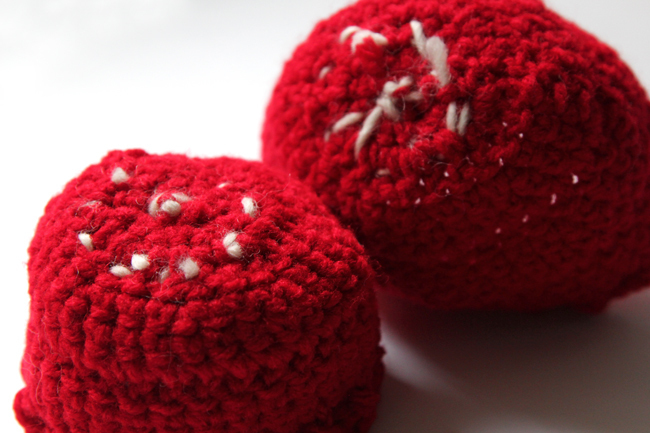 Previous Post: « The Read Along Knit Along is Here!